If you’ve ever called our tech support line, watched one of our training videos, or taken a BobCAD-CAM class, there’s a good chance you’ve already met Mike. He plays a big part in helping BobCAD-CAM clients get the most out of their software. Ever since joining BobCAD-CAM in 2010, Mike’s worked closely with our clients. 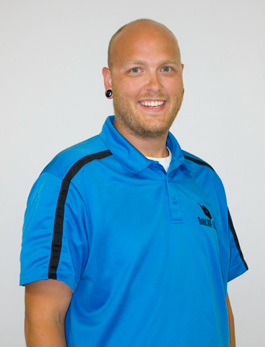 First, as a member of our account management team, he helped put together custom CAD-CAM solutions for machine shops. Then, after becoming an expert in the software, he transitioned to our support and training team where he’s since become one of the top BobCAD-CAM instructors nationwide. He’s got a passion for helping shops solve machining challenges and he loves teaching people how to get a job done quicker and easier. And just like many of our clients, Mike uses BobCAD-CAM after hours for hobby projects that include 3D printing and woodworking. So whenever you need help or want to learn more about the software, Mike’s here to help get you there quicker; no matter the challenge.